Subcontractors and materialman seldom hold the cards when it comes to negotiating subcontract agreements. In most instances, subcontracts have been drafted by parties higher up in the construction chain, such as the general contractor or the owner, and they are on a “take-it-or-leave-it” basis. As a result, many subcontractors are forced to sign contracts with provisions that severely limit their rights and remedies to collect overdue payments. One such provision is a lien waiver provision. These provisions have typically been extremely harmful to subcontractors because they effectively remove the mechanic’s lien from the subcontractor’s arsenal of collection tools. On April 15, 2015, the Virginia Legislature leveled the playing field with respect to contractual lien waivers by making a substantial change to Virginia’s mechanic’s lien law, Virginia Code §43-3. 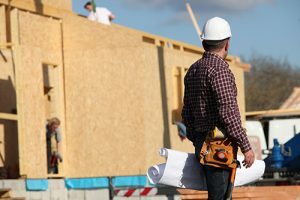 According to the change, subcontractors, sub-subcontractors and materialmen can no longer be forced to sign contracts that include lien waivers prior to furnishing labor and materials. Such provisions are now deemed void and unenforceable. The new legislation effectively puts mechanic’s liens back in the subcontractor’s toolbox and eliminates any chance of inadvertent waiver by the subcontractor during the contracting phase. It is important to note that the new law only prohibits such waivers prior to the first furnishing of labor and materials. Subcontractors who begin work are not protected from waiving their lien rights during the progress of the job. As a result, subcontractors must be careful not to execute documents, releases, waivers or other documents that may include a general lien waiver for future work. Inadvertently doing so can place the subcontractor in a precarious situation. bloffredo@offitkurman.com | 301.575.0345 Brian Loffredo is a commercial litigator with more than fifteen years of experience representing clients in the franchise industry. 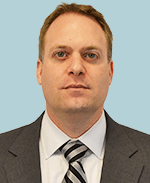 Brian routinely assists clients during the licensing and franchise/FDD review process, as well as with the resolution of franchise-related disputes, including those involving terminations, territorial disputes, fraud, disclosure/relationship law violations and breaches of contract. In addition, Brian represents and counsels clients in the construction industry on matters involving litigation, construction defects, licensing and compliance, collections, mechanic’s liens, payment bond and Miller Act claims, contract drafting, and compliance with home improvement laws and other construction industry laws. Brian also has extensive experience representing financial institutions with workouts, collections and residential / commercial foreclosures. You can also connect with Offit Kurman via Facebook, Twitter, Google+, YouTube, and LinkedIn.